THESE ‘TIMES’ AREN’T NECESSARILY EASY, BUT I CAN’T IMAGINE A MORE MEANINGFUL TIME TO BE AN AGENT FOR CHANGE. I WAS TOLD BEFORE THAT I’M A VOICE FOR THE ANCESTORS, THAT I’M TO BRING THEIR VOICE INTO THIS WORLD, AND WITH THAT COMES TRANSFORMATION. MY HOPE IS THAT I CAN HELP OTHERS TO REMEMBER THEIR SOUL’S POTENTIAL AS WELL. Liv Wheeler is a Kontomble Voice Diviner, a voice for the "little people," and international ritual facilitator. She trained and apprenticed for 8 years with Malidoma Some (author, PhD, West African Shaman). During that time, she made many pilgrimages to Burkina Faso, West Africa. There she spent time in the villages with the medicine people and also reconnected with the Kontomble. She has gone through several initiations that have enabled her to speak in the tongue of the Kontomble. For the past few years, Liv has been working with friends and researchers to help uncover the stories and memories of the "little people" around the world. In addition to publishing her first book, “With the Love of the Ancients: My Spiritual Journey of Remembering”, in 2018, she also produced a feature length documentary filmed, “The Remembering,” in Mongolia that is scheduled to release early 2019. (http://theremembering.net/). Liv and her ability to offer true facilitation and healing has steadily been growing in demand. 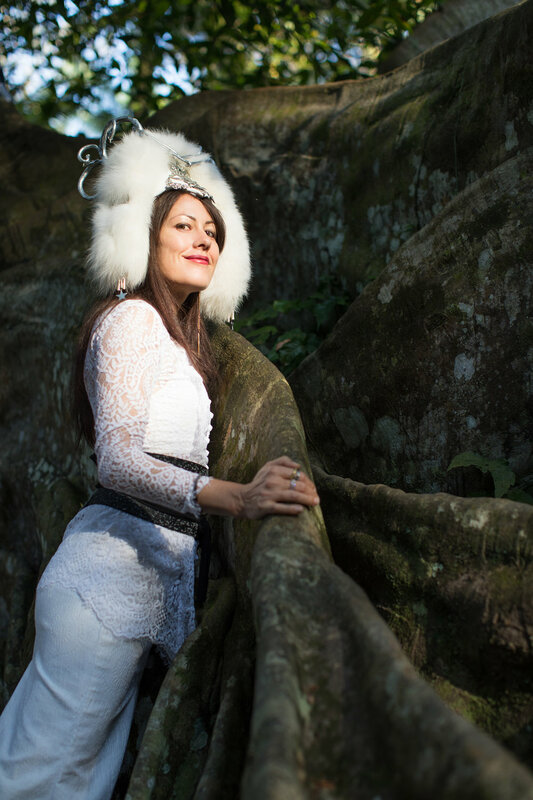 As such, she has increasingly gained recognition and honor in different cultures for her ability to connect people with the otherworld in a way that is healing and authentic. She believes that this is due to the culture's yearning and need to remember. She believes that ultimately the reason she's being invited to so many different communities internationally is to help people to remember their connections to and memories of the "little people." If you're feeling called to work with her, please plan in advance. She currently works with a wait list as well as an application process.